We take our gluten-free side very seriously. We purchase all our Doves Farm gluten-free flour from a supermarket chain, as we know they keep it separate from the other flours. We also only use the Dr Oetker gluten-free baking powder. We do transport everything to our kitchen in separate bags and the gluten-free products are kept is separate storage cupboards, as are all our gluten-free baking utensils. When we make our gluten-free cupcakes we start by sterilizing the kitchen and then bring in the products, the cupcakes are made and removed from the kitchen before we start on any of the other cupcakes we offer. Unfortunately we don’t have the space to run two separate kitchens, so we take every care to eliminate contamination on our side, but of course have no control over what happens in the production chain before it arrives with us. Paula Frost from Cupcake Universe was generous enough to offer me a box of cupcakes to sample. I must admit I am very partial to a gluten free cupcake so I was only too happy to take them up on this offer. It was nice to meet Paula for a quick chat when she delivered the cakes. You can get free delivery in PL1, PL2, PL3, PL4, PL5, PL6 and some of PL7 if you order six or more cupcakes, which are available from only £6.50 via the cupcake section of their website. 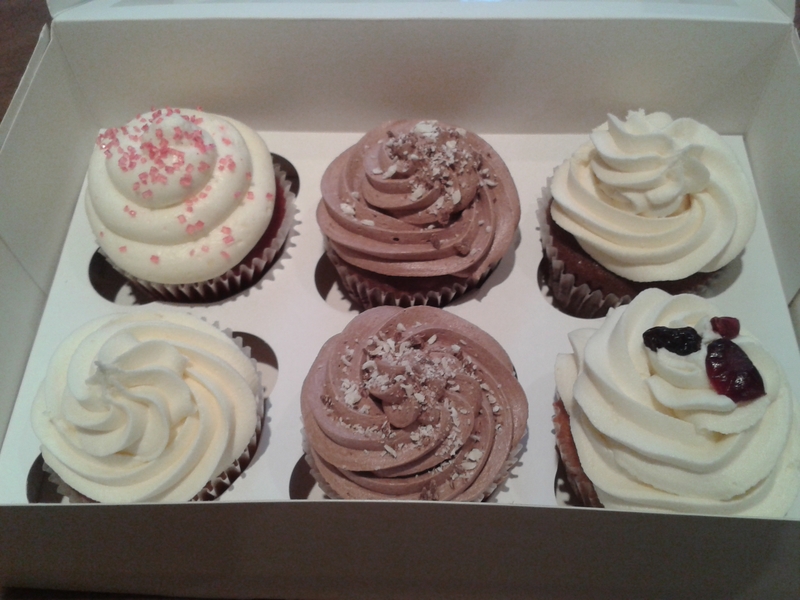 The selection included one red velvet, one cranberry and various combinations of chocolate and vanilla. The sponge itself wasn’t super light, but I personally like that in a cupcake as I think it’s nice to have a bit of contrast when there is so much frosting. I really liked all the flavours, though perhaps unsurprisingly, the red velvet with cream cheese frosting was my favourite. Delicious. 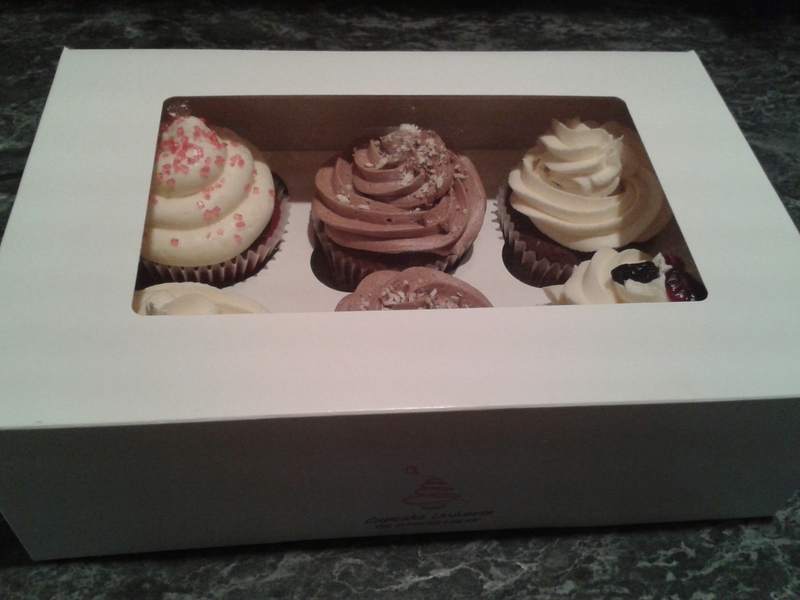 The cakes were nicely presented in a presentation box as below. Cupcake Universe are scheduled to be at the St Budeaux Valentines Fair on 1st February, and are also often at the Sunday morning market at Plymouth Argyle when weather permits. Keep an eye on their Facebook and Twitter pages for full information on where they will be. For full contact details please visit the Cupcake Universe website.